Grateful Dead fans are totally flipping out at the fact that the Grateful Dead will ‘reunite’ for a handful of concerts to celebrate their 50th Anniversary known as the Fare Thee Well Tour. 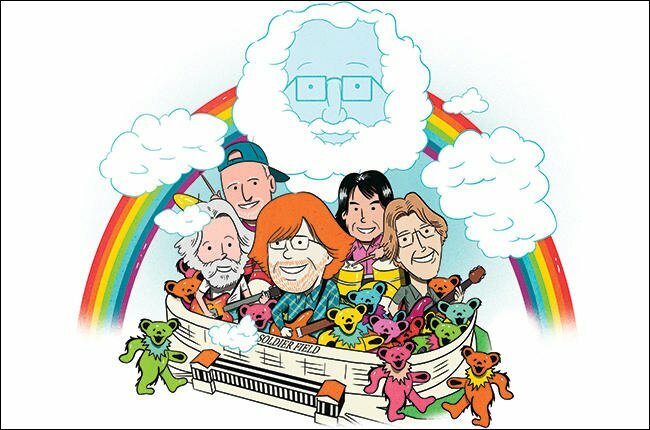 Obviously Jerry Garcia will not be there, but joining them on their shows will be Trey Anastasio, Mickey Hart, Bill Kreutzmann, Phil Lesh, Bob Weir, Jeff Chimenti and Bruce Hornsby. We’re going to guess and say there will also be more special guests appearing. The massive event will take place in the end of June (June 27th and 28th) at Levi’s Stadium in Santa Clara, CA and in early July (3rd, 4th and 5th) at Soldier Field in Chicago, IL. Tickets for all shows have already sold out, but there are many secondary market resellers you can try for Grateful Dead concert tickets. If you look below, you will find the Grateful Dead tour dates, links to get Grateful Dead concert tickets and some cool videos and pictures. So far only 5 dates are set in stone. Check back to see if they add any more Grateful Dead tour dates. Grateful Dead with Trey Anastasio will play Soldier Field in Chicago in July 2015! 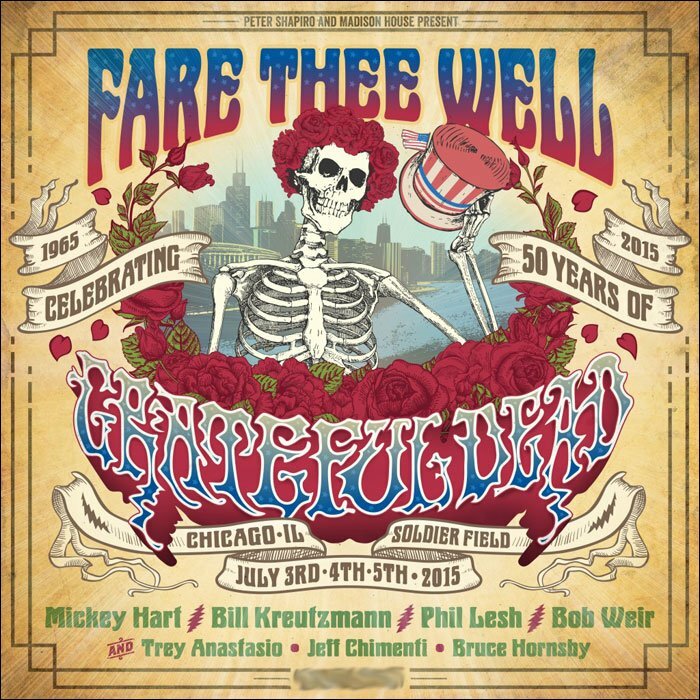 We hope all you Dead-Heads get a chance to see the Fare Thee Well tour this year by the Grateful Dead.